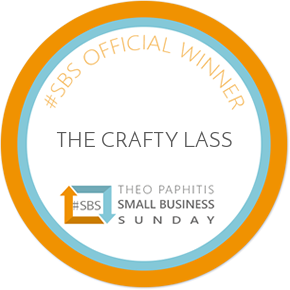 People presume as I am 'The Crafty Lass', I can do it ALL. Everything - ALL the crafty things. Well... I can't! I cannot sew a zip. Although I can easily sew on a button, I do not know how to sew a button hole. I think there is a setting on my beloved sewing machine to even do it for me - but I wouldn't know, because I haven't even tried! I have made 'baby bibs' before, and lots and lots of bunting, tried some fairly complicated makes before like lined Christmas stockings - but just nothing that required a 'pattern'. So, it's a confidence thing. People often ask and presume I can and do make my own clothes - the honest I answer is I would LOVE to - but I don't, as I haven't got a clue where to start! Even the word 'pattern' - eeek, isn't it complicated?! Well, I suppose if I've never tried... how would I know? 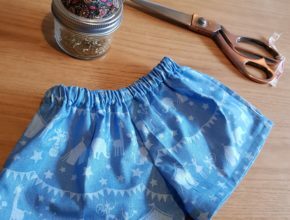 Inspired by some of the amazingly talented Craft Cotton Co bloggers I work with and of course, The Great British Sewing Bee, I wanted to give something a go. It would need to be super simple, yet test me! I decided to make something for 'bump'. As apparently... there is a baby there! I cannot quite get my head around that; that there will be another beautiful little person arriving in the next couple of months. I did the same with Freddie. Yes, I know I am expecting - and yes, I am getting bigger everyday (and it isn't just biscuits) and, yes I know there will be an actual baby, but it is sometimes weirdly hard to connect the two! 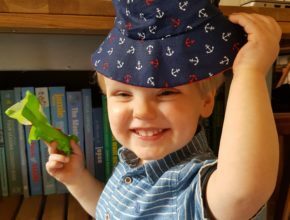 I had a rare morning free whilst little man was at nursery - and although I could have easily done another 101 things like chores, various work related things, or sleep, I thought I would give the shorts a go while it was fresh in my mind. I hunted down a basic pattern - which in hindsight (ha, now knowledgeable?!) I don't think was particularly good as the back is the same size as the front and surely you need it to be slightly larger to, erm - contain that cute little bottom and nappy too?! Anyway - I forged on and decided I would be learning no matter how they turned out. 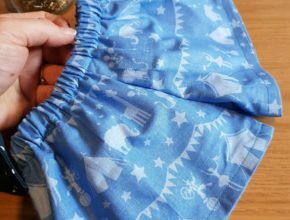 I had picked out some cute little circus print fabric from Craft Cotton Co from Hobbycraft and actually, although I needed 2 x 'emergency' calls to Bernadette (fellow Craft Cotton Co Blogger) ... I DID IT! And, I really, really enjoyed myself. It WAS easy - IF and only if, you know how. They may not be 'perfect' in that I am sure the inner seams would be better and stronger if I owned and used an overlocker - and I am sure that Patrick from The Great British Sewing Bee would have his tape measure out checking the two leg lengths - and, the print pattern doesn't quite match up on the legs, but - they 'work'! It is a lovely little print design and - with a baby, I am pretty sure he will wear them for 2 seconds flat before requiring a change of clothes anyway!!! Most importantly, I gave it a go. I did enjoy myself. They do actually look like shorts! I learnt. I learnt how to read a (albeit basic!) pattern. I learnt how to construct a garment together. And, how to insert elastic! Buoyed by my new found skills, I decided to look for another new challenge. 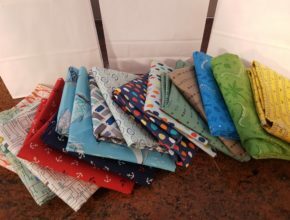 I delved into The Bramble Patch, Weedon and all their lovely fabrics - and inspired: bought some new Makower, Moda, Northcott and Camelot fabric designs (as I needed more fabric, right?) and decided to get stuck into a baby sun hat! This even included something called 'interfacing'!? 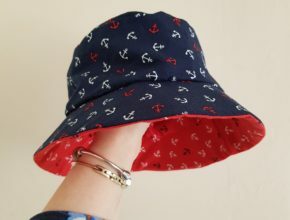 As our little one is due at the start of Summer - and I had been looking round to buy a cute little mini sun hat anyway, I thought... why not MAKE one! Once I worked out that the pattern was simpler than it sounded, I was away! 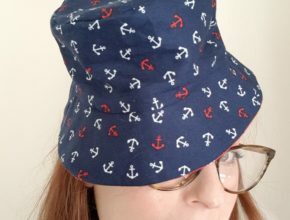 I had constructed the whole thing in around 3-4 hours and although I have since realised the hat is for a 6-12 month old baby, and he won't be able to wear it this Summer anyway (! ), but again - I have learnt! And, he'll be able to wear it NEXT summer when he is by then, 1. Not that I am wishing time away... And to be honest, I am sure that he COULD wear it this year - he just might look abit daft with it being too big - but it would at least protect his little delicate skin! So, I am not sure what the next dressmaking challenge will be - but, I am rather partial to a cute little baby dungaree... I just need to find the right pattern and potentially it will include buttonholes so that will be another new skill learnt! Not sure I will be applying for The Great British Sewing Bee yet, but I can just continue to learn, one step at a time. And, I am not sure I will have time for much sewing from June onwards - I think I may be quite baby busy by then!